Join us for VC Chat on early stage investing with venture capitalists Alex Davidov, Vice President Core Innovation Capital & Chemain Sanan, Partner Humanity United. GLOBAL DEMO NITE @Startup Basecamp: PLEASE NOTE THIS IS NOT DOMAIN SPECIFIC BUT COVERS ALL DOMAINS. All demo startups will have a table to promote their startup & have an opportunity to give a 3minute pitch to the attendees after VC Chat between 8pm & 8:30pm. You will also have a video of your pitch uploaded to youtube. Alex Davidov is Vice President Core Innovation Capital, a fintech-focused venture capital fund. His career spans financial services and technology, as an investor and an operator. 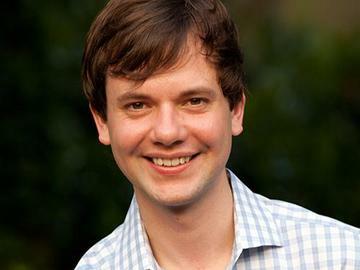 Alex co-founded two companies, Intellitoys (an interactive children’s toy) and SkillSlate (a labor marketplace that was acquired by TaskRabbit). He spent six years in financial services, working to scale a wealth manager and informing trading strategies for Bridgewater Associates. Alex earned a computer science degree and an MBA from Columbia University. Chemain Sanan is a Partner at Humanity United, working on investing in innovative technology solutions to make the supply chain more transparent and ethical. Before joining HU, she was the Founder and Managing Director of Sanan Private Equity (“SPE”), an early-to- mid-stage investment fund established in 2008, focused on investing in disruptive technologies in the mobile, digital media and healthcare technology industries. Prior to establishing SPE, Chemain was the Executive Vice President and member of the Board of Directors for Zavata, a healthcare revenue cycle management company, where she oversaw Mergers & Acquisitions, Corporate Strategy and Shared Services. At Zavata, Chemain was responsible for raising $65 million in venture capital funding, led by Mellon Ventures, Sequoia Ventures and BV Cornerstone Fund, as well as completing and integrating 6 acquisitions in 3 years, including the Siemens Revenue Cycle Management division. She was responsible for leading and closing the Company’s successful sale to Apollo Hospital Group, a public company on the NSE in 2007. She started her career as an Investment Banking Analyst with Thomas Weisel Partners, managing several public and private equity financings and M&A transactions, and is a graduate of Cornell University, with a Bachelor of Science degree in Applied Economics. Moderator: Stewart Rogers is a journalist for VentureBeat, the lead analyst for VB Insight, and speaks at major tech events across the globe on marketing technology, AI, and VR/AR/MR.